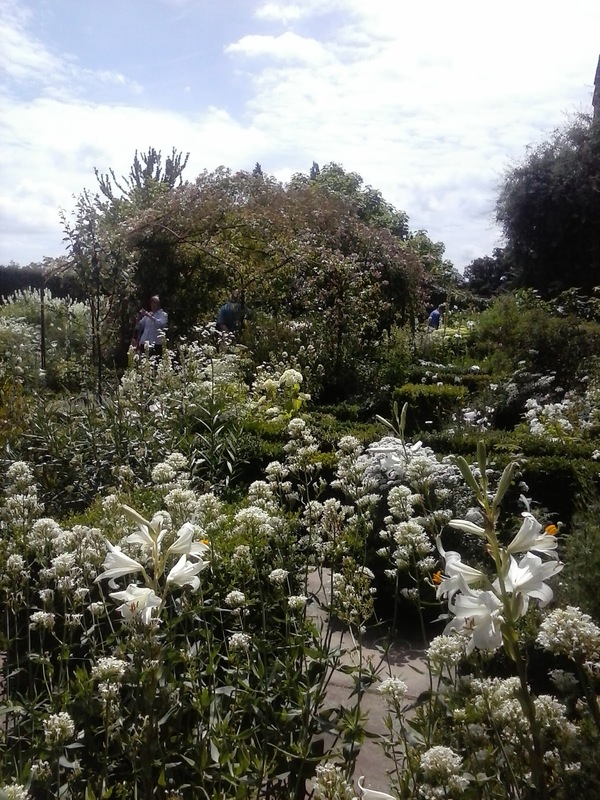 Today I went to Sissinghurst via Staplehurst. There was a 30 minute wait for the bus so I walked into Staplehurst proper from the station first. It's a nice little town, small enough to think of itself as a village, with some attractive stained glass in the church and a pub I considered going into on the way back but ultimately didn't. There's also a memorial to five people - four of them women - killed in the Marian Persecutions. I'm unclear why a memorial was put up in the early 1900s for deaths in the 1550s - perhaps they had surviving relations. The bus from Staplehurst to Sissinghurst was a double decker with about three people on it. I imagine it gets very busy at the weekends, but on a Friday at twenty to twelve in the morning I had the whole top deck to myself, so I could sit at the front and admire the glorious Kent countryside. 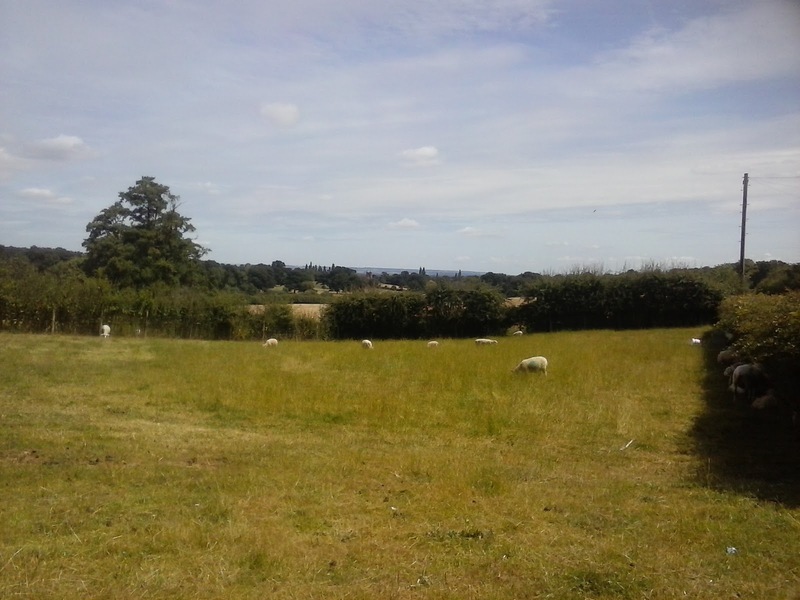 It's a beautiful part of the world at this time of year, with trees almost meeting above the road and then dropping away to reveal sweeping views across green fields. The bus stops at Sissinghurst village and then there's a walk - a mile to two - to the gardens. 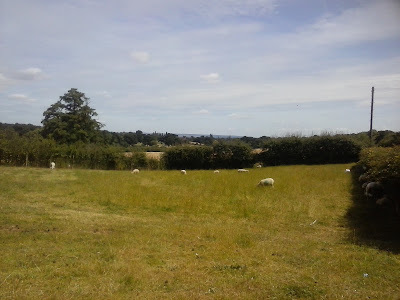 More glorious views, including my first sight of Sissinghurst Castle - framed below by hedges, sky and sheep. The gardens seem tended but untamed - everything spilling over the paths and reaching for the sky, and the roses dropping petals. It's not quite of this world. I didn't take too many pictures - I wanted to soak it up - but I stopped to smell every second rose and sweet pea. The whole place shimmers with light and life, martins or swallows in the gatehouse roof, swooping in and out and calling, and bees swarming around the chimney of one of the garden buildings. I was also amused to see that one of the books on their extensive shelves in the main library was a yellowing hardback of The Anatomy of Murder by the Detection Club, which I recently read myself in a reprint. Vita's smaller library and writing room in the tower can be peered into from the stairs - a wonderfully cluttered and cosy spot - but not entered.